Click on a check mark to read each blogger’s post. I have a review of POSITIVELY izzy. Check it out via the happy green check mark. Author June McCrary Jacobs has an historical fiction feature on ‘Paper Wishes’ by Author Loise Sepahban. Completely Full Bookshelf recommends Save Me a Seat by Sarah Weeks and Gita Varadarajan. Suzanne Warr at Tales from the Raven spotlights Soman Chainani’s The School for Good and Evil, and she’s also announcing the winner for Where the Watermelons Grow. Mark Baker at Carstairs Considers returns this week with a review of The Missing Map of Pirate’s Haven by Sigmund Brouwer. Patricia Tilton at Children’s Books Heal reviews Lucky Broken Girl by Ruth Behar. Author, Dorine White, at The Write Path has a review of The Un-Friendship Bracelet. 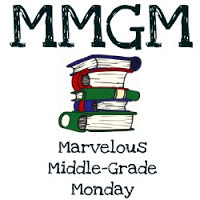 This entry was posted in Middle Grade Book Reviews, MMGM Links and tagged Marvelous Middle Grade Monday, Middle Grade Book Reviews. Bookmark the permalink.